Perfume, the J-pop idol trio of Ayano Ōmoto (nicknamed “Nocchi”), Yuka Kashino (who goes by “Kashiyuka”), and Ayaka Nishiwaki (better known as “A~chan”) will be embarking upon their 6th concert tour that will take them to various venues in Japan and 4 venues in the United States to celebrate the release of their latest single, Cosmic Explorer. 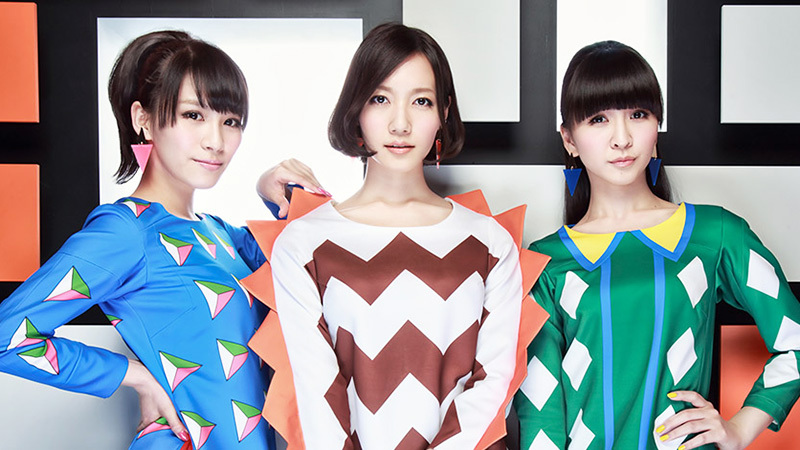 North American fans of Perfume will have to wait until summer for them to reach US shores. They’re currently slated to be in Los Angeles on August 26, fly to San Francisco for a concert on August 28, head over to Chicago on August 31, and finally perform for two days on September 3-4 in New York City, New York. Much of Perfume’s material falls into the category of idol technopop and anime fans might know them best for their work on the Doraemon anime movie titled Doraemon: Nobita no Himitsu Dōgu Museum. In terms of television shows, they’ve performed the theme song to Sushi Police, titled “I Don’t Understand You” which was done in collaborating with the LA-based band OK Go. But seeing that most Western anime fans don’t really have ties to the Doraemon franchise or watching anime shorts like Sushi Police, it’s probably not something that’s really high on people’s radar. And if you’re like me at all, they don’t make for a really compelling reason to go catch them live, so I’ll skip out on this one.